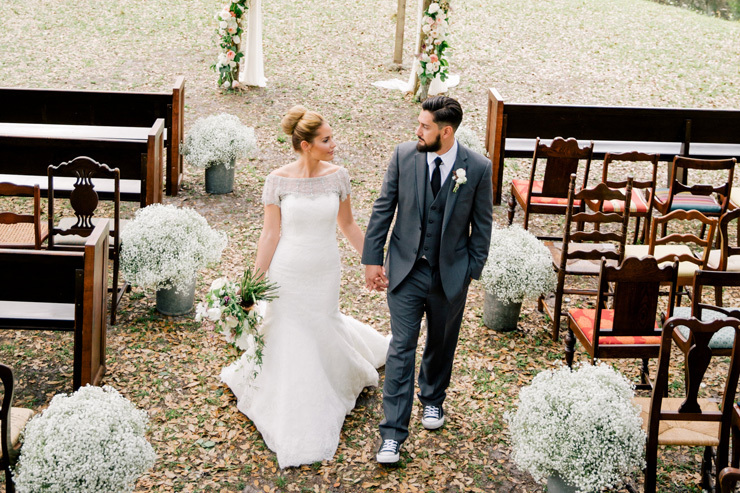 This past March, Jamie Zarr and Robert Ivany celebrated their love with a rustic wedding in Fort Myers, Florida. 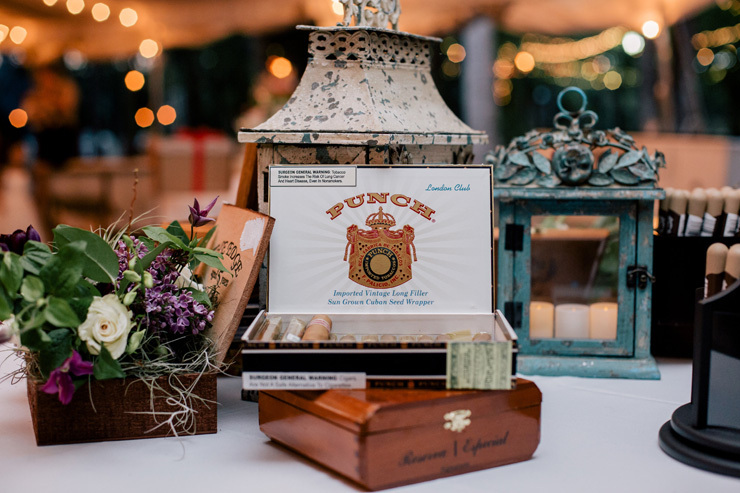 Brides Magazine has featured their gorgeous day held amidst the oak tress and spectacular blooms and also highlighted our Southern chic custom wedding menu. 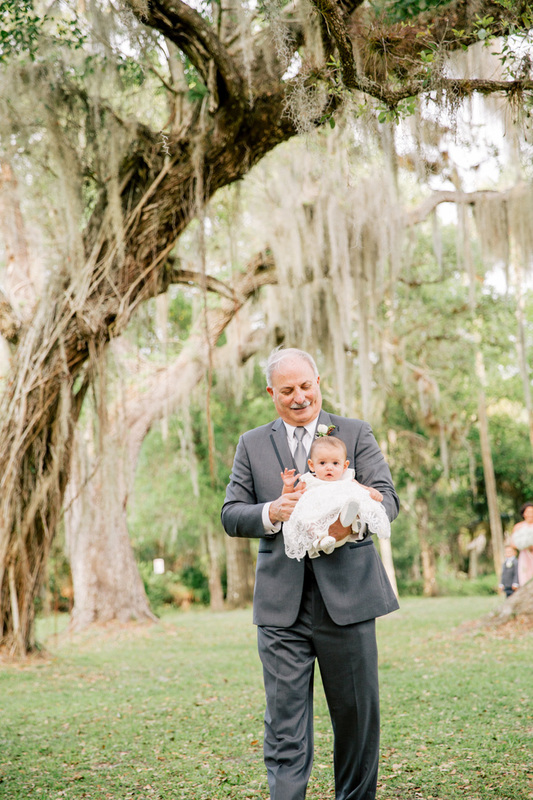 To pay tribute to their love of friends and family, Jamie and Robert chose to structure every aspect of their wedding around engaging guests of all ages to have fun in a relaxing atmosphere. At 4pm, guests arrived to Southern Waters in North Fort Myers and immediately exhaled any stress as they soaked up the surrounding natural beauty, family love and Southern comfort. 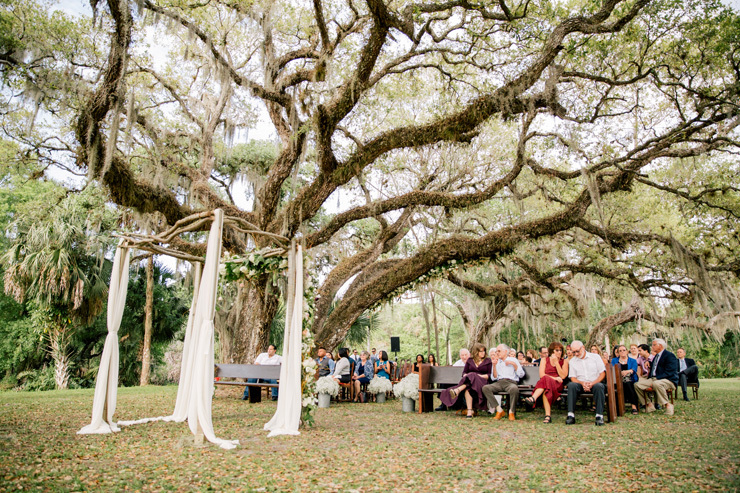 Southern Waters is a beautiful 18-acre event space conveniently situated just an hour from the couple’s home in Naples. The scene was set with ornate, rustic wooden chairs and benches rested atop crisp golden leaves, surrounded by ancient oak trees with mossy branches. Guests happily settled in for a midafternoon, family-focused wedding ceremony. Before the couple said their vows under an idyllic arch covered in pastel blooms, family members shared in the ceremony. Robert’s father carried a flower girl down the aisle. Jamie walked with her father before her stepdad gave her away. Robert’s son, Jacob, served as an adorable ring bearer in a little tuxedo. Jamie tied her late mom’s ring to her bouquet, a way for her to be there in spirit. Anastasiia Photography did a fantastic job of capturing the beauty of the wedding gown by Cristiano Lucci, the flowers by Isn’t She Lovely and the outpouring of love and happiness at this wedding. With a few joyous tears and warm hearts, guests entered a beautifully lit tent to have drinks and strike up conversations. Kids were exceptionally excited to find Yoo-hoos and soda within reach while their parents visited the Southern comfort drink station. 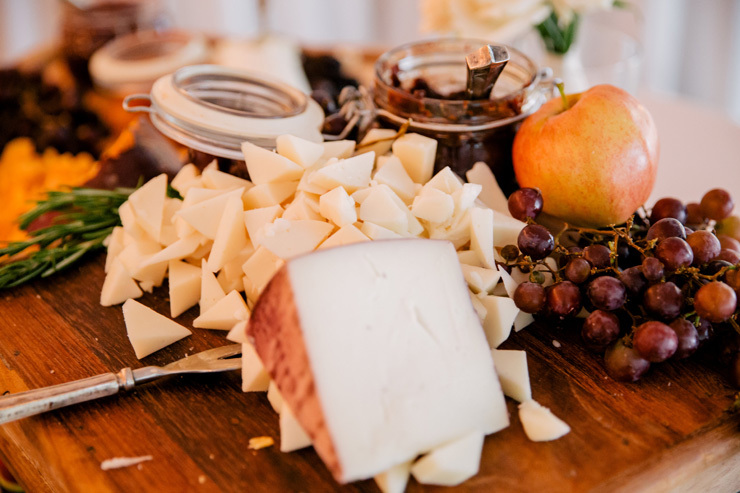 Guests could craft their own small bites during cocktail hour with the wide assortment of artistically displayed domestic and imported cheese, hand crafted jams and jellies, herbed flat breads, dried fruits and grapes. We also served butlered hors d’oeuvres with a modern Southern twist. Our hors d’oeuvres included gluten-free options as well. We further personalized the small tastes, like setting aside an order of sliders with only cheese, no condiments, as per the groom’s request. After the 5:45pm toast, our food stations offered a creative menu blending Jamie and Robert’s unique styles. Fresh local ingredients added seasonal flavors and rustic wood menu signs described the Southern wedding dishes. Beautiful dining tables featured tall golden vases with baby’s breath, one of the many ideas that Jamie found on Pinterest and passed on to her talented wedding planner. Kelly McWilliams Celebrations and our creative chefs did a great job of bringing her ideas together to plan a cohesive Florida wedding. Each dance brought memories to life and really set the tone for a family-focused evening of fun! 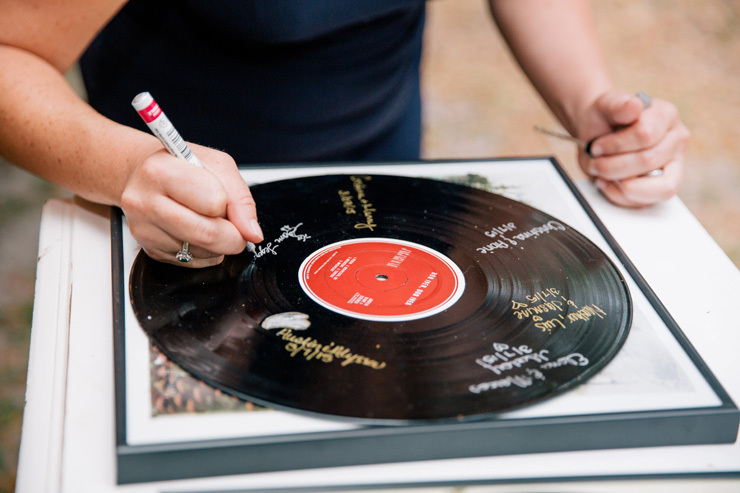 The traditional first dance featured Ray LaMontagne’s “Hold Me In Your Arms,” which was a song on one of the records that guests signed to create a unique guestbook. Also, Jamie and her stepdad danced to “Candle in The Wind,” her late mom’s favorite song. The couples’ grandparents passed Chloe around on the dance floor while A DJ with Class kept the party rolling. Besides dancing, guests could also enjoy the sketch artist, cigar and bourbon bar and photo booth! Kakes by Karen designed a two-tiered naked cake with marbled layers filled with rich cream-cheese frosting. Guests could also cook homemade s’mores over a real fire pit! What a wonderful way to bring together guests, many who were meeting for the first time. Having a wedding planner and top Naples catering company who could take away unnecessary stress was a crucial part of Jamie’s ability to enjoy her special day just five months after giving birth. We are proud to be a Florida catering company that can adapt to any surprises that life brings. 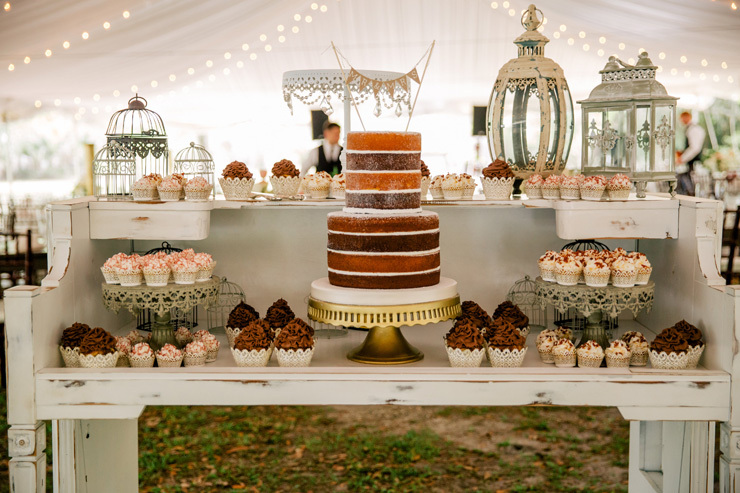 Our creative chefs customize every menu to your wedding vision and can make adjustments on the fly to service yet another newsworthy wedding in Southwest Florida. For an elevated catering experience at your wedding in Southwest Florida, contact us online or give us a call at 239-774-FOOD (3663).